Click here to order from the St. Mary & St. Moses Monastery Bookstore. 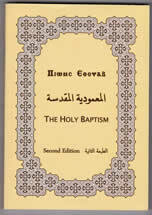 These two books consists of the commemoration of the saints throughout the Coptic year. Part 1 includes the months of Thoout, Paope, Hathor, Koiakh, Tobe and Meshir. Part II includes the months of Paremhotep, Parmoute, Pashons, Paone, Epep, Mesore and Little Month. This second edition of the Divine Liturgies of the Coptic Orthodox Patriarchate of Alexandria is the culmination of efforts that began with His Grace Bishop Serapion and His Grace Bishop Youssef. 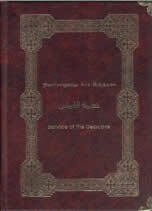 This book of three Divine Liturgies is presented in Coptic, English, and Arabic. This new edition contains a section for hymns and doxologies along with additional fractions. This book contains all the melodies chanted during the distributions of the Holy Mysteries at the end of the Divine Liturgy. This is the first comprehensive translation for all the Melodies (English/Arabic and Coptic when applicable) in order to help the believers participate in praising the Lord during the Distribution. Also included in this book are the Melodies for the whole liturgical year and those that are chanted in the veneration of the saints. A thorough review of the melodies in the book was done to ensure the accuracy of the translation.. This 720 page publication is comprised of several books, including the complete euchologion (liturgies of Saints Basil, Gregory, and Cyril), detailed book of rites, book of veneration services, and the most comprehensive Deacons service book ever translated into the English language. The Service of the Deacons is intended to be used as a comprehensive resource for Coptic deacons, clergy, and laity. 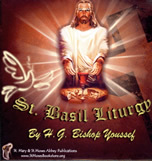 This book includes the ritual prayers for the Holy Sacrament of Baptism.